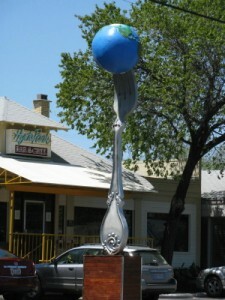 The historic Hyde Park neighborhood in Central Austin is located 1.5 miles north of the University of Texas campus. Bounded on the south by 38th Street, Guadalupe on the west, Duval on the east, and 45th to the north, the neighborhood association has expanded the area to include homes north to 51st Street. As one of the oldest subdivisions in the city with one of the largest concentrations of historic homes, there has been an increasing demand for restoring and developing the neighborhood. 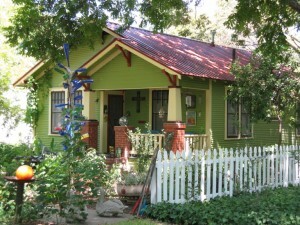 The Hyde Park Neighborhood Association has gained the designation of Historic District and the area is listed in the National Register. This designation ensures that architectural changes must be compatible to the character of the district and that all properties are protected for their significance as part of the fabric of the neighborhood. In the early days of its founding before 1891, the vision for Hyde Park was ‘fine streets and perfect shade.’ With its mix of Victorian homes and 1920s-style bungalows, the area has appealed to people from every age bracket and profession. 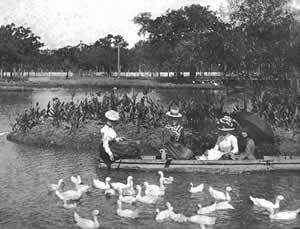 The area was a popular destination for recreation even before Monroe Shipe developed Hyde Park as Austin’s first suburb. Lakes dotted the landscape and a lazy afternoon of boating among the lily-pads was an embraced way to spend Sunday afternoon. The Capital Jockey Club had a full racing course for horse races; the state militia held drills and mock battles to the enjoyment of spectators; and the first Texas State Fair was held here in 1875 until it moved to Dallas in 1884. Automobile races, carriage rides and baseball games were also on the menu of events held at the fairgrounds during the year. There was a fine time to be had by all! 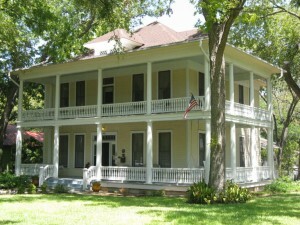 Shipe founded Hyde Park in 1891 as a “White Only” streetcar suburb and one of its first inhabitants was sculptor, Elizabet Ney who built her home, Formosa on the northeast part of the district. Marketed as the most “fashionable part of the wealthiest and most aristocratic city in the land”, Hyde Park early homes were built in the Queen Anne style and were stylistically pretentious. Despite his promotions, sales slumped and Shipe began marketing to the middle and working class. It was during this period of 1924-1935 that the greatest building boom occurred. This accounts for the preponderance of bungalows with their Craftsman style porches, square columns, and built-in, interior cabinets. While home sizes and prices vary throughout the area, the average home in Hyde Park is 1,700 sq. feet, three beds/two baths, sells for $420,000 at $250 per square foot. Hyde Park was designed to be self-contained and to this day, it still works as a walking community. Located near the center of area is small commercial hub where many neighbors congregate in the evenings to sip coffee, enjoy dining together or pick up their groceries. This network of establishments includes Hyde Park Bar & Grill, Fresh Plus Market, Asti Restaurant, Quacks Bakery, Mother’s Café (vegetarian), Julio’s Mexican Grill, and the ever handy convenience store. The area Post Office is on Speedway, across from the Fire House, and churches fill the area. Each Fathers Day weekend in June, the Hyde Park Neighborhood Association holds its annual Historic Homes Tour; the Fire Station Festival in October honors local Engine 9; and local Shipe Park keeps neighborhood children busy throughout the summer with sports courts and a swimming pool. Take all this charm and add it to the convenience of being literally minutes from downtown and UT and you can see why Hyde Park is such a popular choice for Austin home buyers!